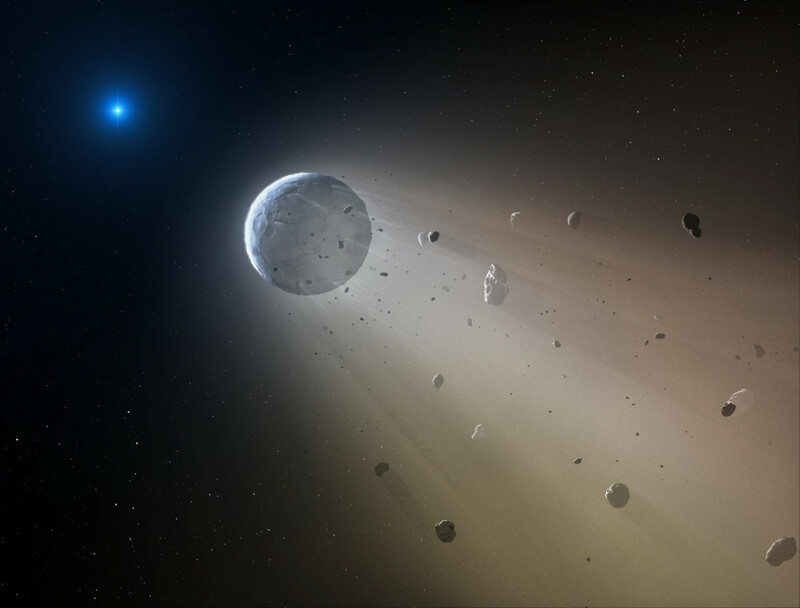 October 21, 2015 – Scientists using NASA’s repurposed Kepler space telescope, known as the K2 mission, have uncovered strong evidence of a tiny, rocky object being torn apart as it spirals around a white dwarf star. This discovery validates a long-held theory that white dwarfs are capable of cannibalizing possible remnant planets that have survived within its solar system. During its first observing campaign from May 30, 2014 to August 21, 2014, K2 trained its gaze on a patch of sky in the constellation Virgo, measuring the minuscule change in brightness of the distant white dwarf. When an object transits or passes in front of a star from the vantage point of the space telescope, a dip in starlight is recorded. The periodic dimming of starlight indicates the presence of an object in orbit about the star. A research team led by Vanderburg found an unusual, but vaguely familiar pattern in the data. 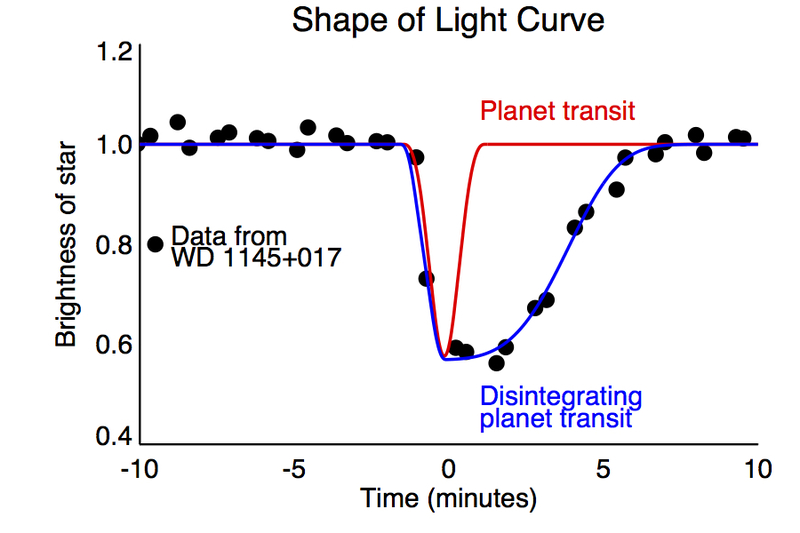 While there was a prominent dip in brightness occurring every 4.5 hours, blocking up to 40 percent of the white dwarf’s light, the transit signal of the tiny planet did not exhibit the typical symmetric U-shaped pattern. It showed an asymmetric elongated slope pattern that would indicate the presence of a comet-like tail. Together these features indicated a ring of dusty debris circling the white dwarf, and what could be the signature of a small planet being vaporized. Due to intense gravity, white dwarfs are expected to have chemically pure surfaces, covered only with light elements of helium and hydrogen. For years, researchers have found evidence that some white dwarf atmospheres are polluted with traces of heavier elements such as calcium, silicon, magnesium and iron. Scientists have long suspected that the source of this pollution was an asteroid or a small planet being torn apart by the white dwarf’s intense gravity. Analysis of the star’s atmospheric composition was conducted using observations made by the University of Arizona’s MMT Observatory.